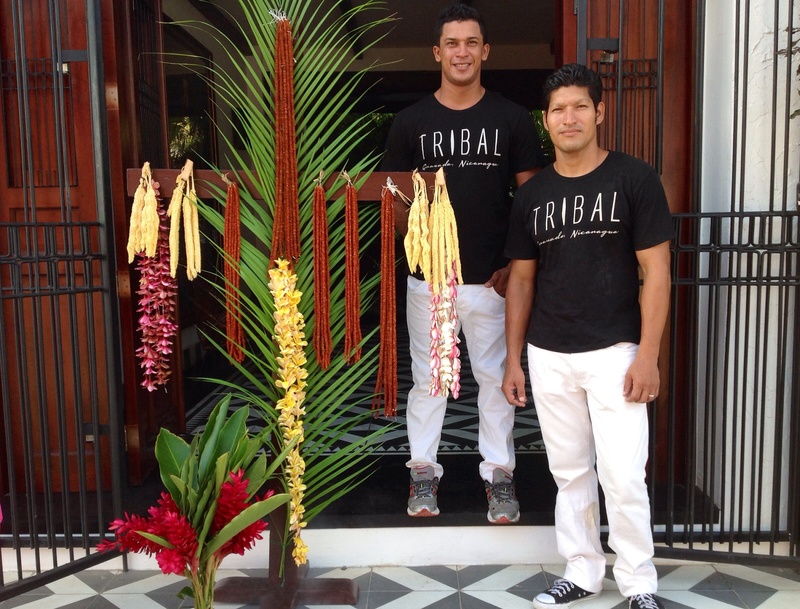 One of the most exciting things about hosting our guests here at Tribal Hotel is the opportunity to share the colorful wealth of culture and traditions of Granada. 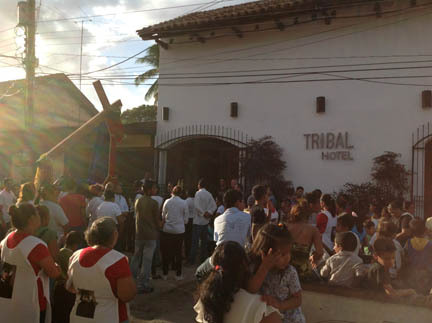 The opening of the hotel coincided with Holy Week, called Semana Santa here in Granada, Nicaragua. Holy Week is a special time to fully immerse yourself and experience the rich culture of this country influenced by a blend of ancient Spanish Catholic rituals and indigenous traditions. On the morning of Good Friday many churches organize a procession known as Santo Entierro. At Tribal Hotel we created a floral shrine as everyone on the street did to honor this day, it was amazing to experience the defile, (procession) along the Via Crusis. Learn more at these great sites, or make reservations at Tribal Hotel for Semana Santa 2015 and experience it for yourselves! Semana Santa procession in front of Tribal Hotel.